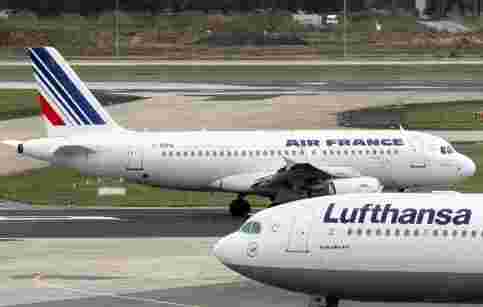 The European Union (EU) plans to impose a carbon emissions levy on all airlines that fly over its territory beginning 1 January next year. The decision could not have been taken at a more inopportune time. Under the EU Emission Trading Scheme (ETS), airlines will have to account for carbon dioxide emissions. They will have to pay fines in case they do not make allowances for emissions. The ETS will unfold in a phased manner over the next two to three years but there is no denying that once in place, it will hit aviation companies. At this moment, the world can ill-afford a thoughtless scheme such as this one. For one, EU-ETS has the potential to further complicate the next round of global trade liberalization and also bilateral trade agreements. For example, India could very well retaliate by creating hurdles in the EU-India free trade agreement (FTA). This is because, Indian aviation companies are already in financial trouble and they can do without more problems. Then the proposal is self-defeating for the EU itself. Chances are that aviation hubs such as Frankfurt, Brussels and others will lose out to their rivals outside the EU. Business can easily move to these destinations and worse, the possibility of European airlines being discriminated against cannot be ruled out. India, the US and other countries have taken a lead against EU-ETS. As reported in Mint today, New Delhi has invited several countries for a round of consultation and coordination. A joint declaration condemning the EU move will be issued. This ought to be just the first step. In case the EU persists with its plan, more realistic steps may need to be taken to dissuade it.